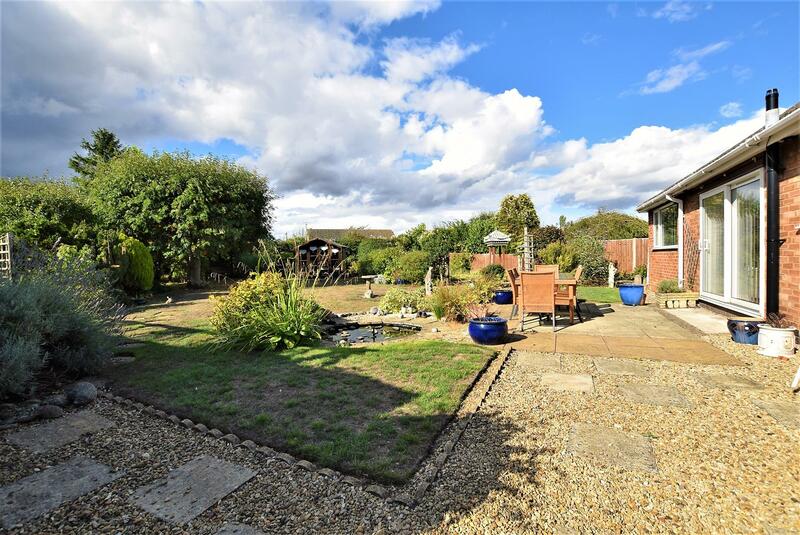 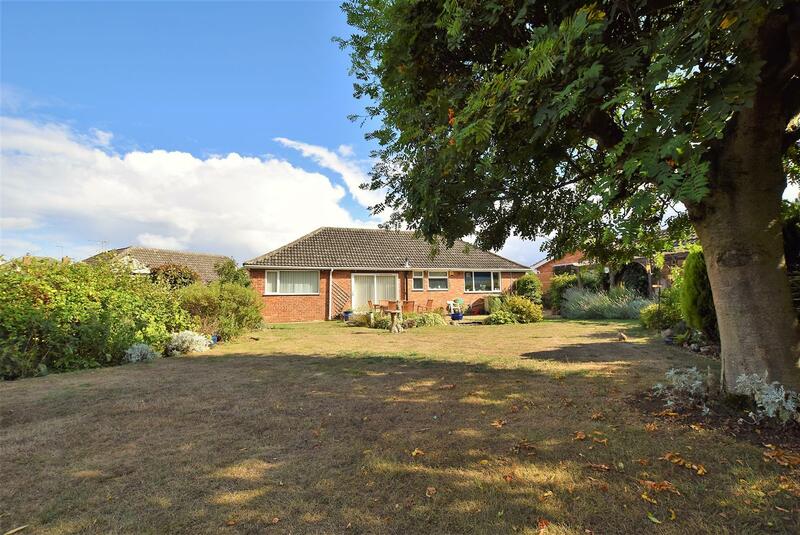 A rarely available and extremely unique detached bungalow that has been considerably extended and is set within a fantastic plot with mature gardens only moments walk from Oakham's bustling town centre and train station. 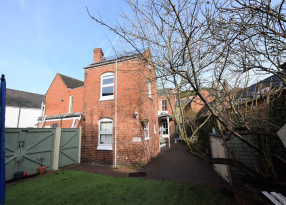 Offering spacious accommodation throughout including three reception areas, a breakfast kitchen, three double bedrooms and a modern shower room. 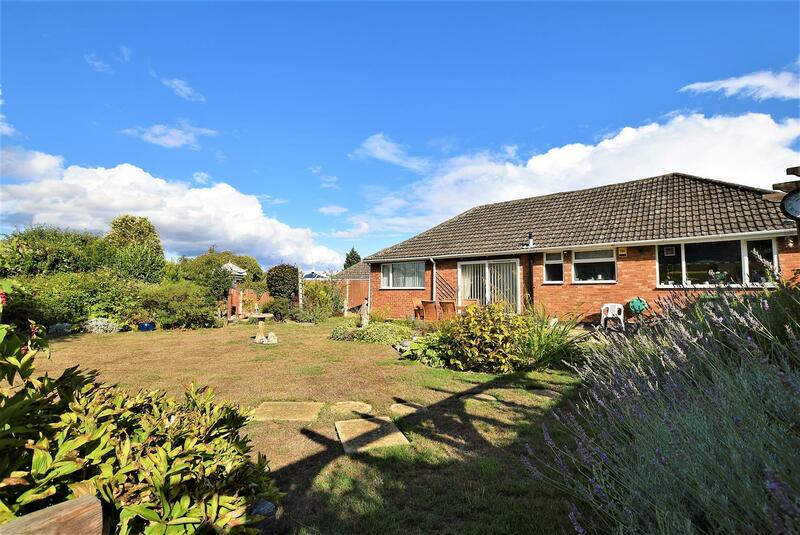 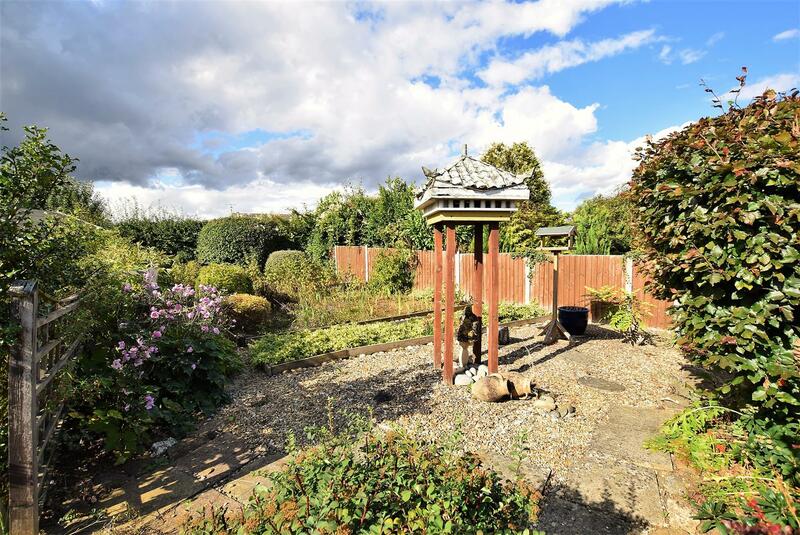 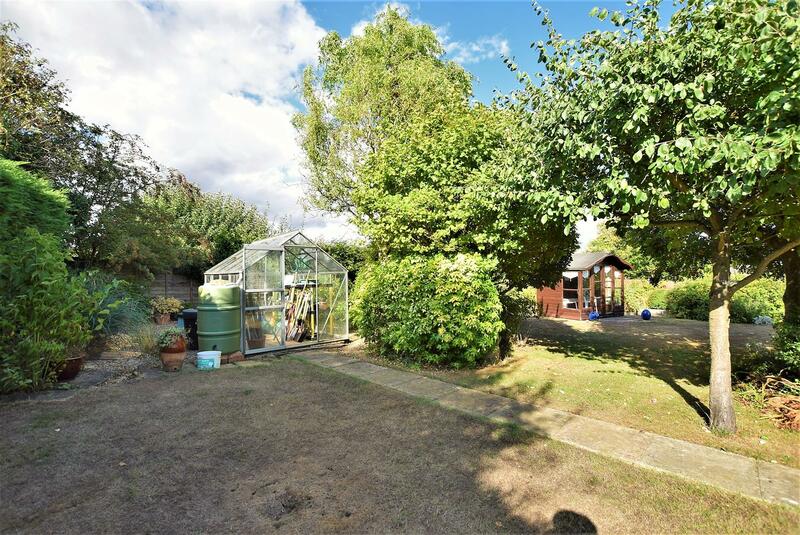 Offered for sale with no onward chain, the property is positioned at the front of a large mature plot with ample off road parking, detached single garage and workshop. 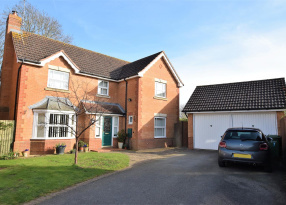 As you enter the property, the useful entrance porch doubles up as a handy office area and leads into the inviting entrance hallway. 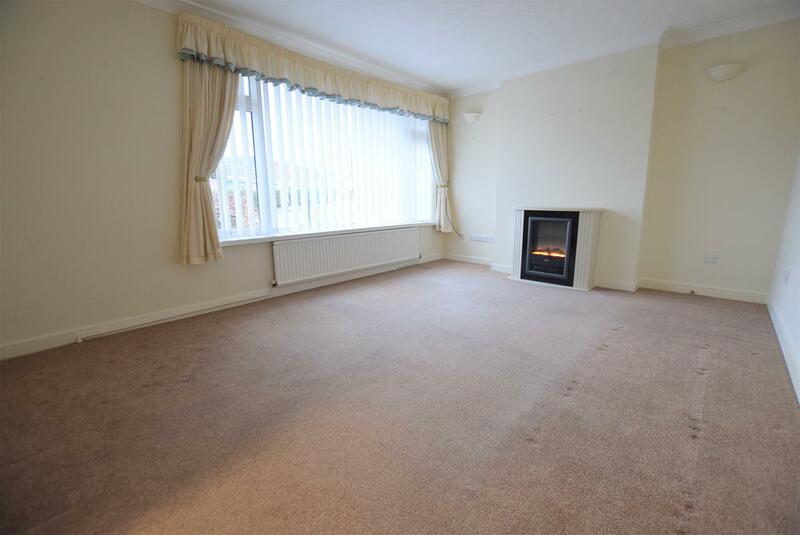 From here you head into the first of the reception rooms, filled with natural light and featuring an eye catching fireplace this area makes a great sitting room. 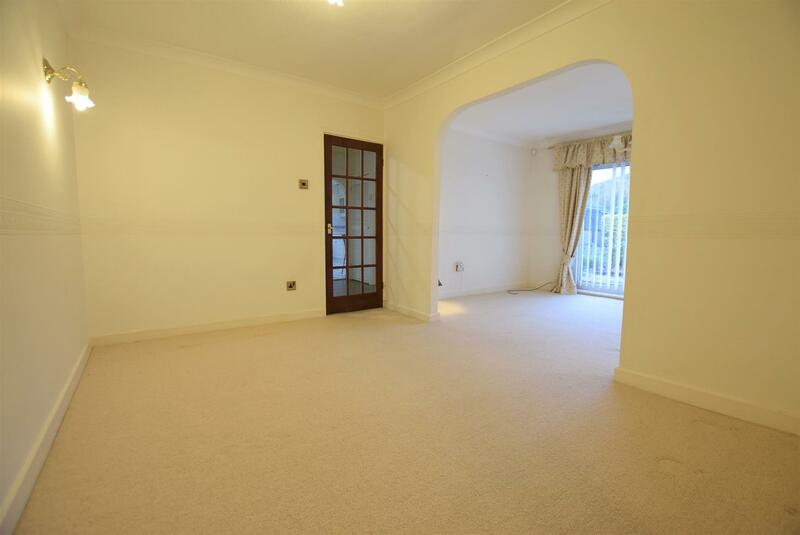 Across the hallway there is the dining area and second sitting room with patio doors offering tremendous views over the rear garden. 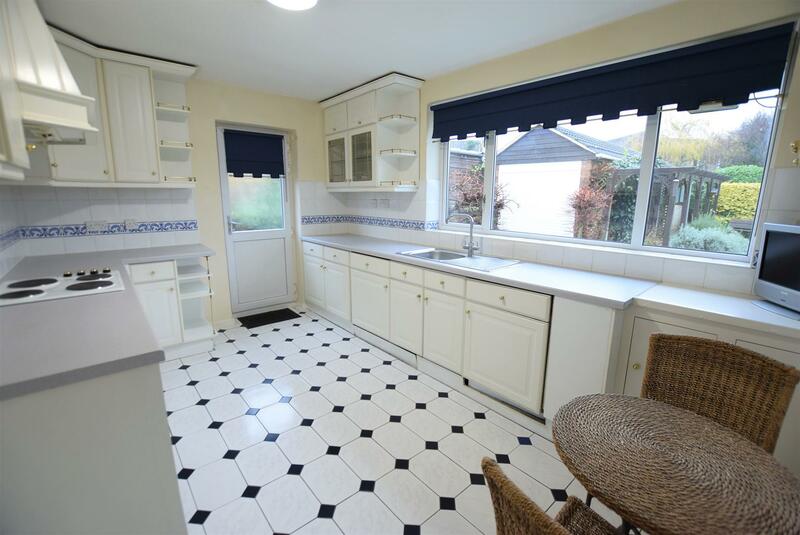 The breakfast kitchen is fully functional with a range of wall and base units and door out to the rear garden. 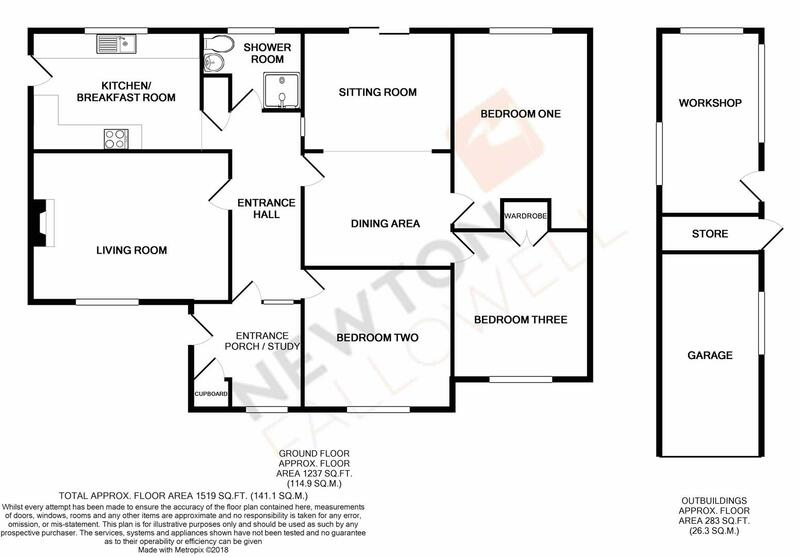 The three double bedrooms within the property have ample space for bedroom furniture and utilise the modern and refitted three piece shower room. 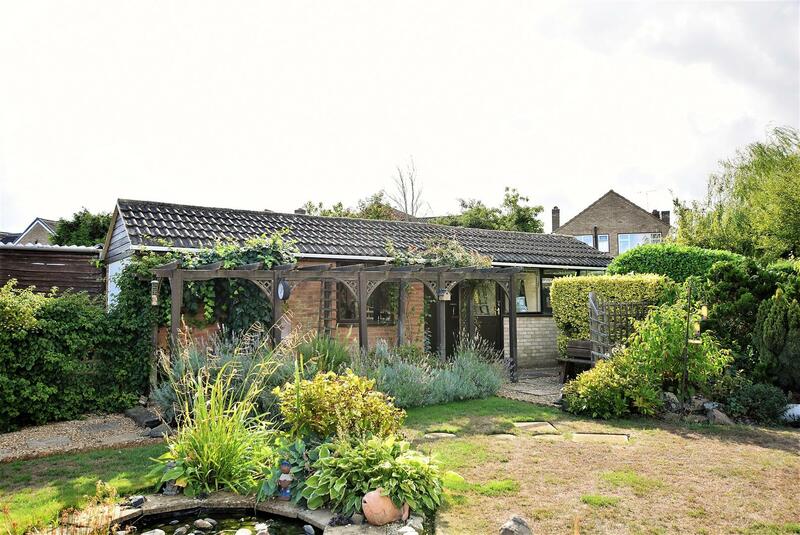 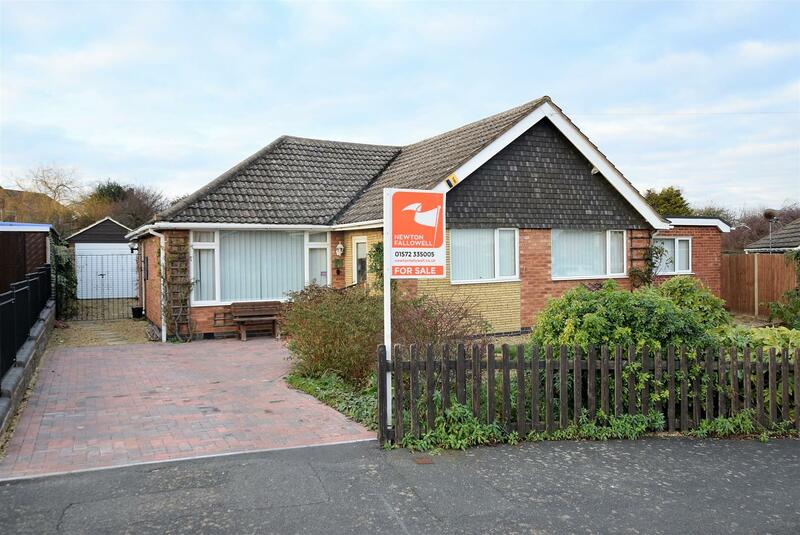 The bungalow itself is set on a desirable plot with mature front gardens. 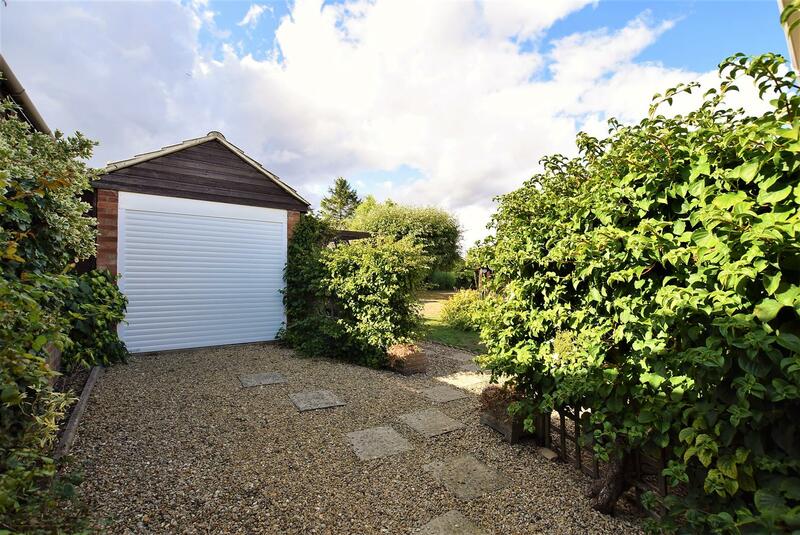 A block paved driveway gives off road parking for several vehicles and leads to the iron gates giving access to the garden, garage & workshop. 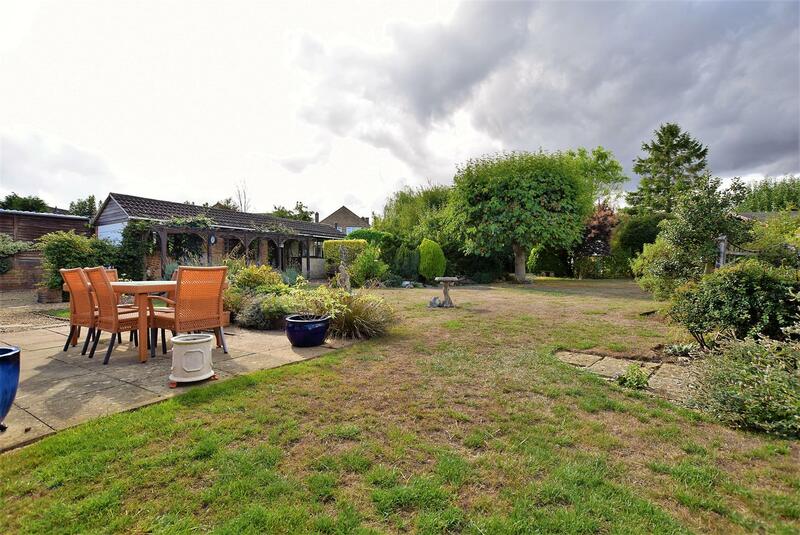 The mature West facing rear garden is mainly laid to lawn with a selection of mature shrubs and fruit trees. 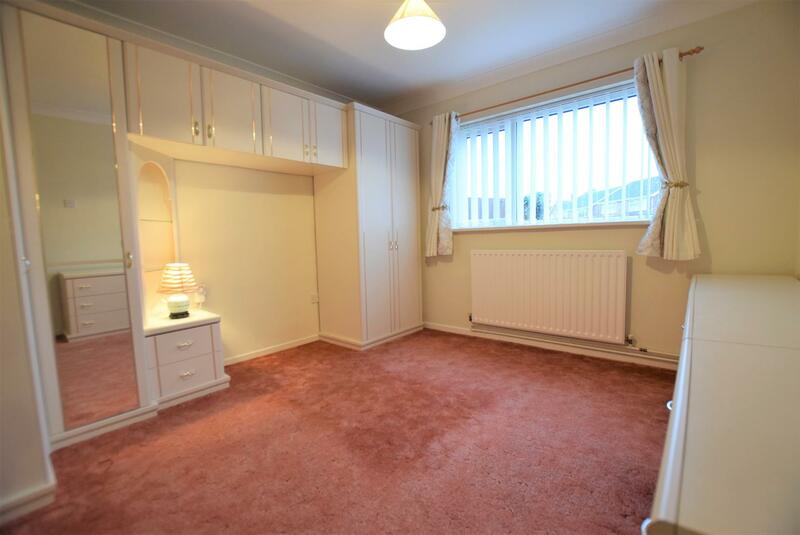 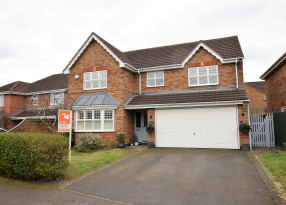 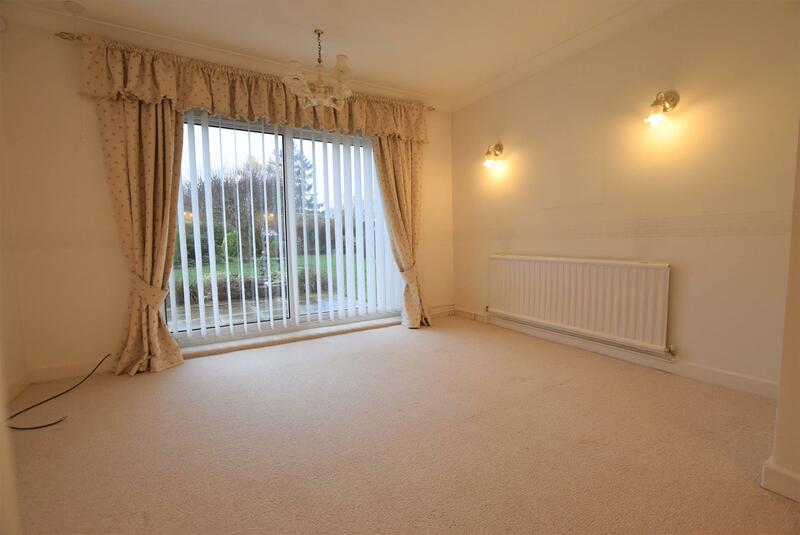 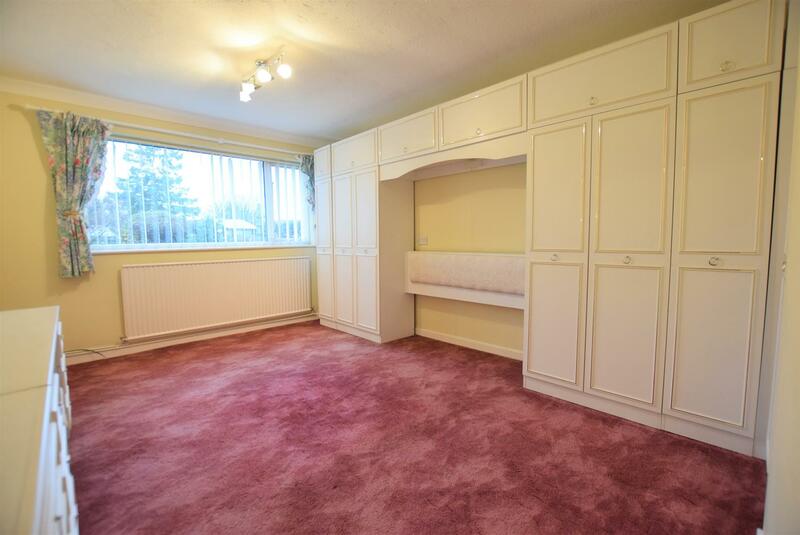 We would strongly recommend an internal viewing of this property at the earliest opportunity. 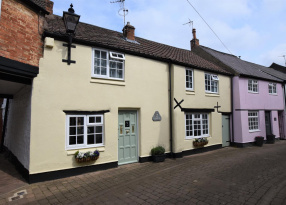 Newton Fallowell Oakham is a Franchise owned and operated under license by TT & L Limited trading as Newton Fallowell, Registered in England Number: 11389917 Registered Office: 6 Market Street, Oakham, Rutland, LE15 6DY. 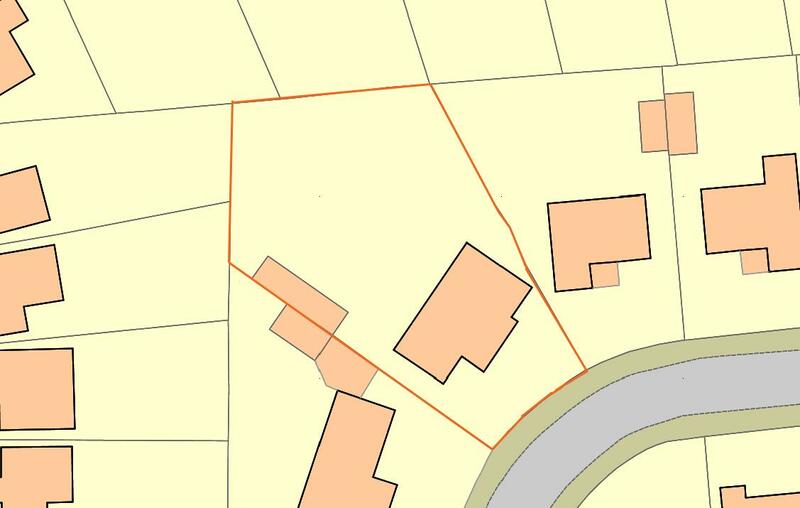 TT & L Limited is a Franchisee of Newton Fallowell Limited and not a subsidiary or sister company. 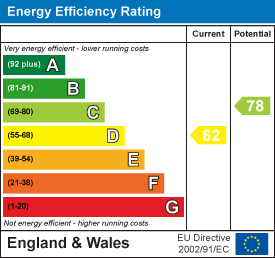 VAT registration number: 296 4076 68.